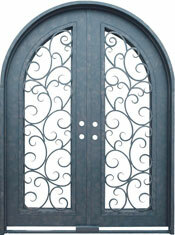 72" x 96" Radius Double Door (p/n 6048-72). 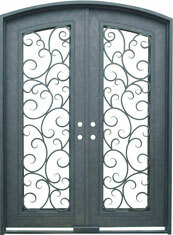 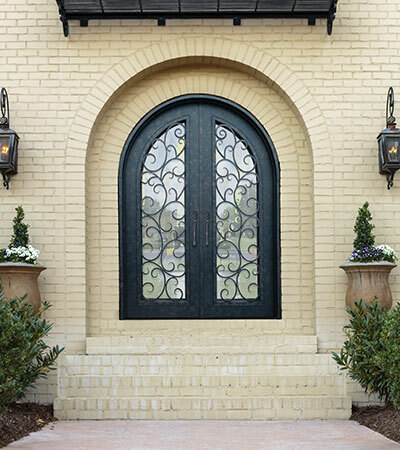 Graceful curves flow throughout each of The Seville Series doors. 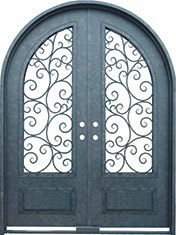 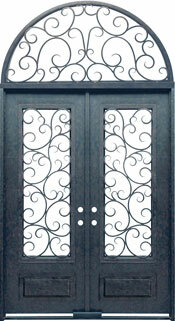 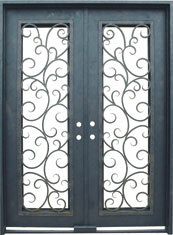 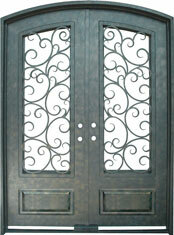 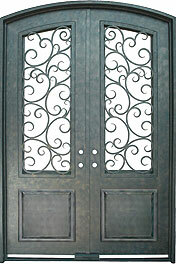 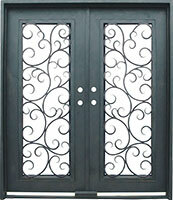 All units feature intricate detailing balanced with the permanence and security of the forged iron panels and frames.